Who said your dog’s dental routine has to be difficult? 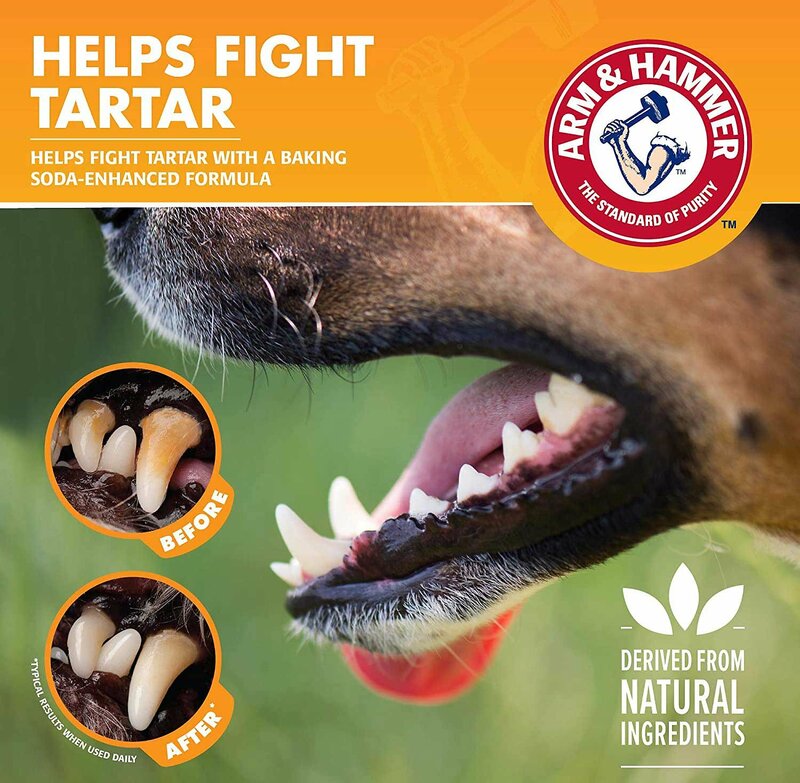 With Arm & Hammer’s Dental Tartar Control Dog Dental Spray, supporting healthy teeth and fresh breath is easier than ever! Just spray one to two pumps on each side of your dog’s mouth, directly on his teeth and gums, and let the gentle but powerful baking soda work its magic. Not only will the naturally derived ingredients in this spray help prevent tartar buildup, but they also help freshen breath with a refreshing mint flavor, whiten teeth and help your pup maintain clean, healthy teeth! I have two older Maltese With health conditions. This enables them to get their yearly teeth cleaning. I have resorted to using the spray after I brush their teeth. It seems to help keep their breath freshener. So far I like this spray. A little too soon to see if the tartar control is better than other products. I do like that the breath is better on my little pet. Arm and Hammer dental spray is highly effective controlling our dogs bad breath. Much better than any other product we tried. My dogs had really bad breath. I started using this and immediately there breath was nice smelling. I can actually see the product foaming on tartar build up when I spray it on their teeth. It's simple and quick so my dogs don't stress out. This stuff really works. My dog hates it when we pull her lips back, but she'll have to get used to it. It is easy to use, however, it would be easier to use this if product could be used without having to take away water and no treats for an hour. Our one dog does not like getting his teeth brushed, and this is proving to be a good alternative! My dog finally allows me to clean his teeth and I use the spray afterwards . Teeth are looking better. My dog is a rescue so her teeth were yellow, gross, and she had rancid breath. This spray makes her breath minty fresh, gives her whiter and healthier teeth, and she loves the flavor. Highly recommend.